What he got in response left him overwhelmed. To be part of the U.S Marine Corps is a privilege. These people know the meaning of sacrifice and loyalty like no other, and we show our deepest respect for their service. 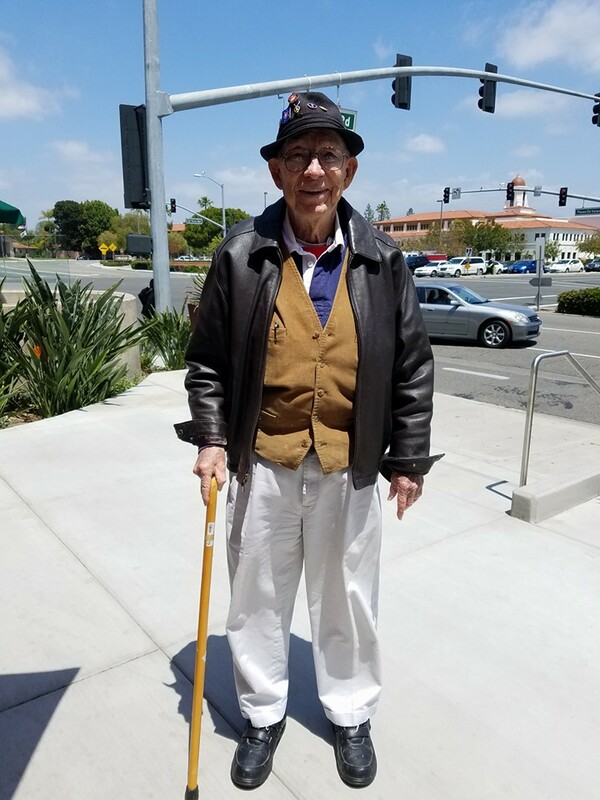 One man shared a story of the meeting he had with a retired Marine whom he met for the first time but felt the need to approach and say hi and thank you. You can read his story below. He then talked about recovery at a hospital in Guam. Two-hundred Japanese paratroopers were dropped and were kii**ng friendlies around the area. He was given 2 choices. Stay and take his chances, or run and hide. He said he took out all the needles attached to his body out, put tape over his wounds, and hid for 24 days. After he was rescued, on a flight back to the US, another Marine handed him a Lucky Strike cigarette. He went to light it, and the doctor saw him. The doctor told him “what the hell is wrong with you? You only have one lung.” They then injected him with so much mor**hine, he passed out and woke in an American hospital. He eventually recovered and tried to re-enlist, but he was medically retired. I helped him stand up and walked him to his vehicle, which is a golf cart on ster**ids. As he got in his vehicle, I shook his hand one last time and told him he was the saltiest Marine I have ever met in my life. He said “all my friends are saltier than I am. I’ve lived an amazing life, and I don’t have any regrets. I wouldn’t change a thing, it was the time of my life.” He then told me, I hope I see you around again young man, so we can bul***hit.